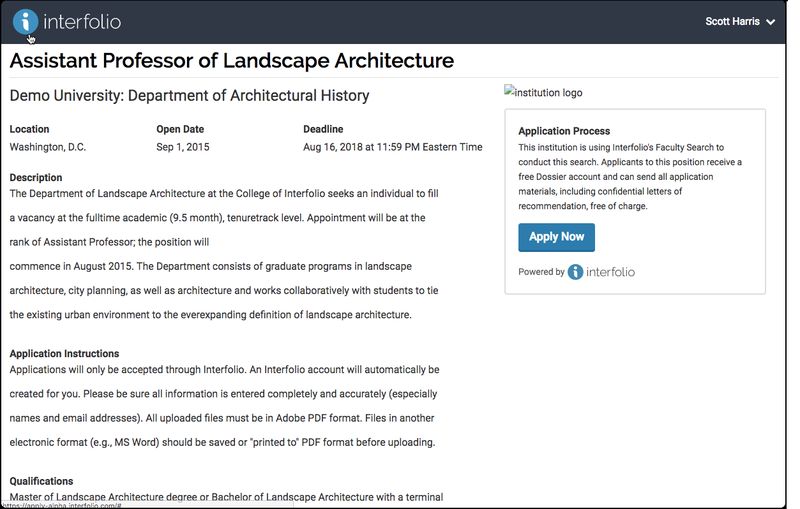 Through this process, FS will generate a landing page with a unique URL that will serve as the portal through which job seekers submit their applications. A example of an FS landing page is illustrated below. Following this user guide will also help you create a position that is in compliance with new UW standards which will smooth the approval process and speed up the time to posting.